You’ve organized the perfect itinerary for your students, complete with meals and snacks. But, what happens when one of your travelers has food allergies? When I was a young student, I was one of maybe two students in the entire school with food allergies. But these days, roughly two students in every classroom are physically unable to consume certain foods. In fact, from 1997 to 2011 there has been an approximate 50 percent increase in children and adolescents (under 18) with food allergies. The condition affects nearly 15 million people in the United States. I was born with severe allergies to milk and tree nuts—so severe that my doctor told my parents I was “off the charts” and he had never come across anyone with food allergies “this bad.” Despite my mom’s apprehensive—and in retrospect, understandable—concerns, I’ve been quite the traveler. Almost every other weekend of my life, from sixth grade to my final year of college, I was in a different city with a travel volleyball team. I’ve also been fortunate enough to enjoy the perk of having a commercial airline pilot for a dad: flying for free. So trust me, I know what I’m talking about when it comes to traveling with food allergies. First and foremost, you must know all of your students’ allergies. There are eight common food allergens: peanuts, tree nuts, eggs, shellfish, milk, soy, wheat and gluten. Your students should carry an “allergy card” with them at all times. This card lists all the student’s allergies—not just to food, but to medications for paramedic use in case of an emergency. Keep in mind that your students aren’t restricted to these eight allergens alone, but to all the meals and treats containing them and their byproducts. Congress in 2006 passed the Food Allergen Labeling and Consumer Protection Act (FALCPA), which states that all food products regulated by the Food and Drug Administration (FDA) must be labeled in a specific way to identify the eight major food allergens. These allergens are bolded on a product’s ingredient list. However, be sure to read all of the ingredients, not just those listed in bold font, if you’re buying snacks for your group. I once ate breakfast cereal containing whey, a byproduct of milk, which was not listed in bold. Since I was in a rush, I skipped the step of carefully reading all ingredients. Let’s just say I didn’t make it to any of my classes that day. Okay, I’ll tell you what really happened to me, along with all the other symptoms of an allergic reaction. Within seconds of my first bite, my throat started to itch and swell. My face was flushed with what is known as the “butterfly rash,” which spans the edges of your nose to your cheekbones in the shape of a butterfly. Then, I started to wheeze. Before I go on with my story, allow me to tell you about my best friend, Benadryl. Benadryl becomes a close companion for anyone with a food allergy; it’s the first line of defense in case of a minor reaction. If the reaction is severe, you may need to administer an Epinephrine autoinjector, more commonly known as an EpiPen (other brands include Adrenaclick, Twinject and Medihaler-Epi). In my cereal incident, Benadryl kept me from having to use my EpiPen (even if it left me groggy and bedridden for most of the day), but I had my EpiPen on hand in case I took a turn for the worst. Other common symptoms of an allergic reaction include itchiness, watery eyes, abdominal pain, hives, and swelling of the lips, eyes, face, tongue or other parts of the body. Severe symptoms include nausea and vomiting, dizziness and fainting, and wheezing and trouble breathing. The most severe, life-threatening symptom is anaphylactic shock, which results in the throat closing, blocking all airways. If one of your students is experiencing any of these symptoms, minor or severe, you must take immediate action. Recognize symptoms. Ask your student what she is feeling; some students are very quiet and even embarrassed by their allergies, so (although you may feel like you’re pestering) it’s a good idea to keep an eye on her for a few hours after a meal. Reactions can occur within seconds to several hours after eating. Keep the student calm. Reassure him everything will be all right. Anxiety can worsen a reaction and cause panic, which is the opposite of what you want. If symptoms are mild, have her take Benadryl. In my case, my parents had to authorize my schools to administer Benadryl (and the EpiPen) as needed. When I turned 18, I had to provide authorization. Schools have varying policies, and it’s important to be well aware of yours. Be sure to know where your student keeps her Benadryl and EpiPen, or, as my school teachers did, keep the medication on your person. If symptoms persist or if the reaction is severe, use the EpiPen. Epinephrine autoinjectors have instructions on the pen itself and on the box. While directions may vary slightly, it is usually a simple process of removing the safety cap and stabbing the pen into his upper thigh, holding for 10-15 seconds. Remember: epinephrine is first-line treatment for anaphylaxis. If you use an EpiPen, immediately seek emergency medical care. Although you can’t guarantee safety to someone with a food allergy—not that you can guarantee safety to anyone on a student group trip—you can take preventative steps. Communication is the first step in prevention. Not every food allergy is the same—they range from mild to severe. You have to communicate with the student (and her guardians if she is a minor) on what precautions to take. Communicate with the entire group; they all may not be aware of anyone’s food allergies or the seriousness of the situation. Unfortunately, children and adolescents can be bullies or simply not understand. In junior high, one of my classmates didn’t believe me when I said I had food allergies, so she rubbed a piece of cheese on my leg. When I was younger, someone poured a glass of milk over my head just to see what would happen. 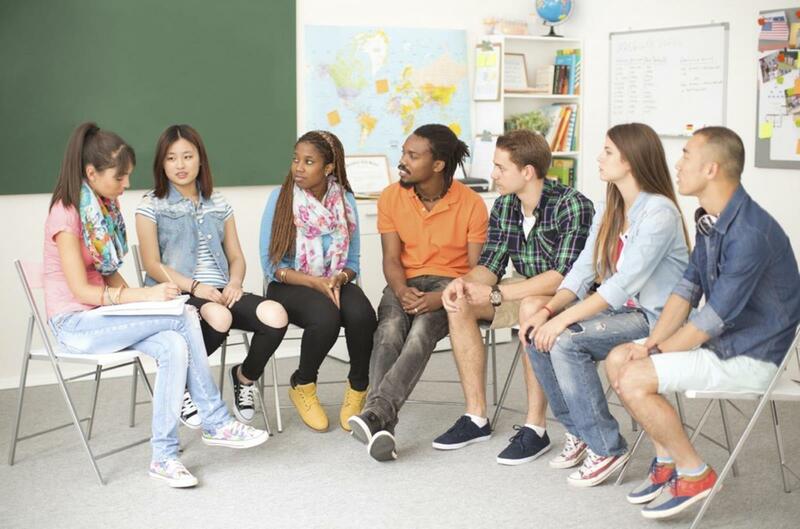 Provide your student group with preventative steps: don’t share your food with someone with a food allergy, keep your hands to yourself during a meal and wash your hands after eating. Most student group trips call for snacks or meals. Have a student with a food allergy pack her own snack. If you’re stopping at a store for snacks, you can bring the student with a food allergy in with you to help read ingredients. I can’t tell you how many times I bonded in the grocery store checkout line with my volleyball coaches. If students pack their own lunch, you may have to either request students not to bring the allergen or keep that student away from students who did bring it. Either situation quite frankly is a lose-lose situation for everybody, as students don’t want to be told what to eat and no student wants to eat alone. But, it would be worse if someone had a reaction. You might want to run your ideas by the student or guardian beforehand. If you’re having your meal catered, communicate with meal providers well ahead of time. Name the student with the allergy, what he is allergic to and what dish will be prepared for him. You may even want to put the caterer in direct contact with the student or guardian. Know your surroundings. Before you embark on your trip, know where the closest hospitals and medical clinics are located. Don’t take risks, and do your best to keep students from taking risks. A simple taste of an unlabeled snack may lead to a sick student, putting a screeching halt to your carefully planned activities for the day. Traveling internationally with food allergies? Have your student’s allergy card available in that country’s language. If you’re flying, learn the airline’s policy on serving peanuts and other common allergens on the plane—some airlines are happy to accommodate your wish to withhold a certain snack or meal. It never hurts to ask. Carry a prescription or doctor’s note allowing EpiPens and Benadryl (especially if it’s liquid) on the plane. Similar products in one country may have different ingredients in another country, not to mention ingredients may be listed in different languages. Pack sufficient food ahead of time or plan out where you will buy food. With food allergies becoming more and more common, this is not an issue that can simply be swept under the rug. It must be addressed and handled accordingly. Remember, communication with the students and guardians is always the first step you should take. Traveling is an experience that should be enjoyed by all. Did I ever permit my food allergies to stop me from traveling? I answer with a resounding “no,” and so should your students.